What is Coopadilly Creations? It is a cloth diaper and baby accessories company run by a WAHM, and mother of 4, Roxanne A. She is in a word... AWESOME. The company used to be a partnership between her and her sister but I am not sure if they still work together. I own 5 of their products though. I own a mai tai, ring sling, two diaper covers, and a burp cloth all from Coopadilly. The diaper covers are adorable. They are called "Knotty Bums", named by me (I won a contest for naming them). The name fits because these fleece fitted cloth diaper covers tie in the front and are super adjustable from anywhere form a nb to my 40 inch tall 33 lb 2 yr old. (Bug still wears diapers overnight). Here is a picture. So my impressions of her products? I actually am not sure but I think I have actually done a review of this company before when I got my mai tai and ringsling but I am not sure... anyway... I LOVE THESE diaper covers. At just 2.50$ each they are a steal!!! They come in a variety of cute colors and are super absorbent. They would work well over prefolds or fitteds, or just for fashion sake over pockets. Bug loves them. They are so soft. 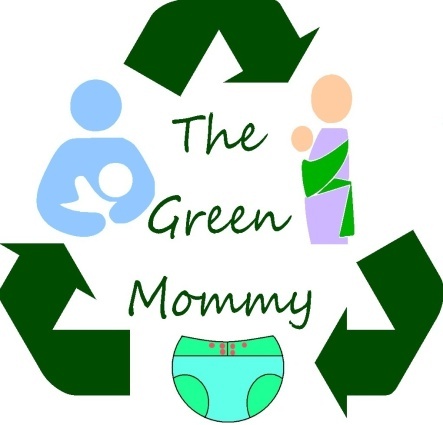 So if you want green baby products made here in the States by a WAHM who does great work, shop local and buy from Coopadilly. She even reuses all her scraps to make smaller items so she is further being green by using every last scrap. Tell her The Green Mommy sent you! Thanks so much Shay! Although my sister is no longer involved I never would have gotten here without her! We love our Knotty Bum, and love the name!! We appreciate the love and support! I heard some people on FB talk about cloth diapers. I still don't know if I could handle using them... but I do see how people use them and save quite a bit of money! With rising disposable costs they actually have done some reports on how ill educated people are trying to save money by leaving children in dirty diapers longer or even ack washing out disposables which is sooooooooooo dangerous. Cloth is really easy, relatively cheap and there is a huge worldwide support system of moms who can help you. I think mostly people think it is more daunting than it is and they scare themselves off. If you would like to know more please join my cloth diapering group on fb. https://www.facebook.com/groups/clothdiapersmomdad/ We are always helping moms make the switch. We even will help find you cheaper options or even lend or sell some of our own supplies to help. You will find that when it comes to helping other MOms get started we are really looking to be on your side.